Deqin County, also called Deqen County (Standard Tibetan: བདེ་ཆེན་རྫོང) (Chinese: 德钦县), located in the northwest of Diqing Tibetan Autonomous Prefecture in Yunnan Province. 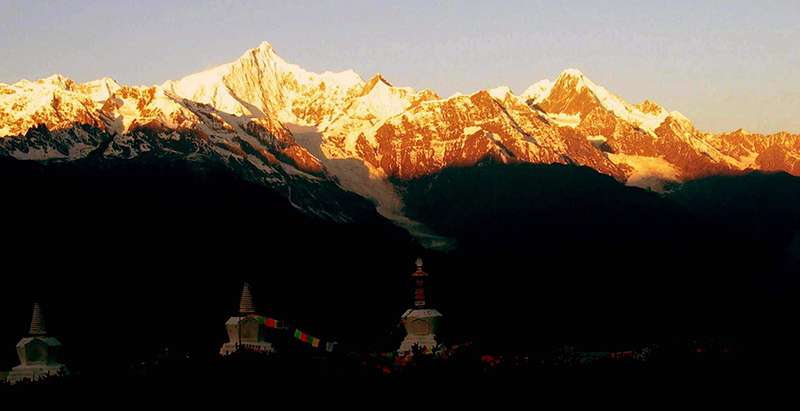 80% of its 55,000 inhabitants are Tibetan. 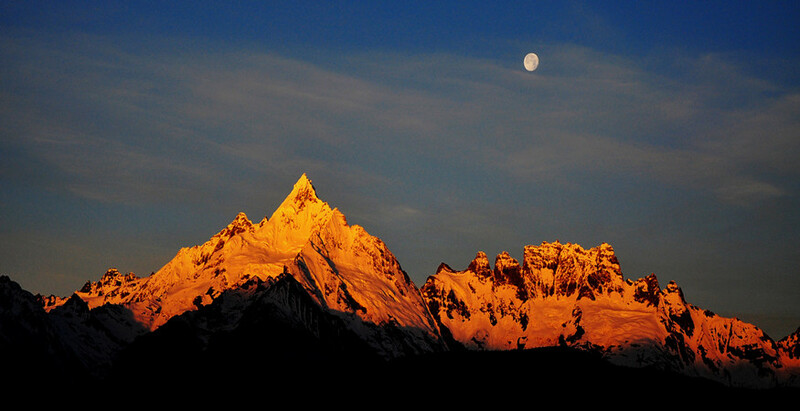 Due to the geographic position and population composition, it is full of tourism resources, including natural sceneries, minority culture and Tibetan culture. 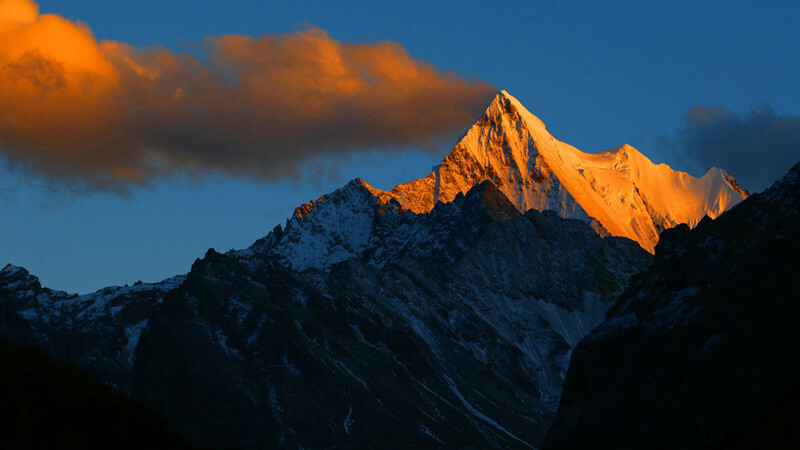 ▪ Natural Sceneries: Due to the special geographic position, the natural sceneries are abundant, such as, Meili Snow Mountain (梅里雪山), Lancang (Mekong) River Meili Grand Canyon (澜沧江梅里大峡谷), Feilaisi Temple (飞来寺), Mingyong Glaciers (明永冰川) and so on. 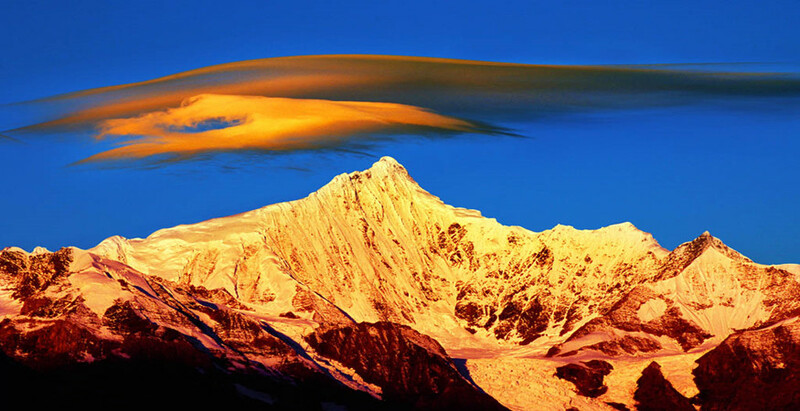 ▪ Hiking Tour in Deqin County: As the border mountain of Yunnan and Tibet, Meili Snow Mountain is located about 10 kilometers northeast of Deqin County in Diqing. It is a good place for hikers. ▪ Minority Culture: There are 12 minorities in Deqin County, including Tibetan, Yi, Naxi, Bai, Hui, Yi, Zhuang, Miao, Hani, Nu, Yi and Pumi. Most people are Tibetans, so Tibetan Buddhism prevails here. The Inner Pilgrimage and Outer Pilgrimage are the vital events for Buddhism.